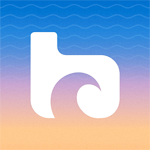 Boardmasters Festival 2019 offers the ultimate beach holiday with a lineup of electronic music, indie rock, alternative rock, indie folk, and indie pop! Boardmasters tickets are on sale! Rudimental has been added as a headliner for the Land of Saints stage to do a special guest DJ set! Also out is the Boardmasters Unleashed lineup! Check out the lineup posters in the linep section farther below. The Boardmasters lineup is out! Wu-Tang Clan, Florence + The Machine and Foals headline! New names also include The Wombats, Mahlia, Elderbrook, Razorlight, Masrtin Solveig, Franz Ferdinand and Bear's Den! Foals, Plan B, Razorlight, Slaves, Mabel, Bugzy Malone, Sam Fender, The Hunna, Sleaford Mods and more topped the second phase Boardmasters lineup for 2019!!! The first phase lineup included Florence + The Machine as a headliner, plus Giggs, Franz Ferdinand, Dizzee Rascal, Jorja Smith, Wilkinson b2b Sub Focus, DJ EZ, IDLES, Michael Franti & Spearhead and more. It's a "laid back festival atmosphere designed to bring out the inner surfer in everyone," according to festival organizers. The Boardmasters dates are August 7 - 11, 2019. They have a BUNCH of different stages including The Main Stage, Unleashed, Land of Saints Stage, The Point, The View, Keg & Pasty, The Net Loft, The Beach Bar, Corona Sunsets, Introducing Cornwall, and House of Marley. Fistral Beach is there for pro surf competitions as well as skate & BMX competitions. Boardmasters afterparties offer a party after the party complete with shuttle service. There's well being area complete with yoga, mindfulness and meditation mini-retreats. The "laid back" claim continues with massage, alternative therapy, luxury hot tub and sauna in the Boardmasters Spa. The Boardmasters Festival 2019 lineup is out & Boardmasters Festival 2019 tickets are below! Boardmasters Festival tickets are on sale! 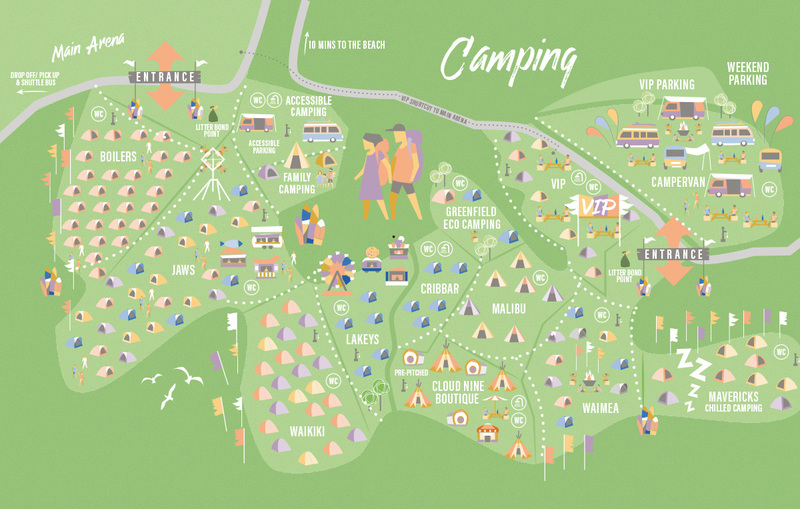 You can get day tickets, VIP, camping & parking as well as surf & adventure packages. The Boardmasters Festival lineup for 2019! The Boardmasters Uneashed lineup for 2019!